This timberland investment has been carefully managed for 30 years, with third-party FSC certification covering the last 10 years, yielding one of the finest timber resource tracts in the region. The asset appreciation management regime has focused growth on chosen species, favoring the highest stem quality, and producing a crop that is at or nearing maturity. · A resource prime for robust asset appreciation with cash flow options. 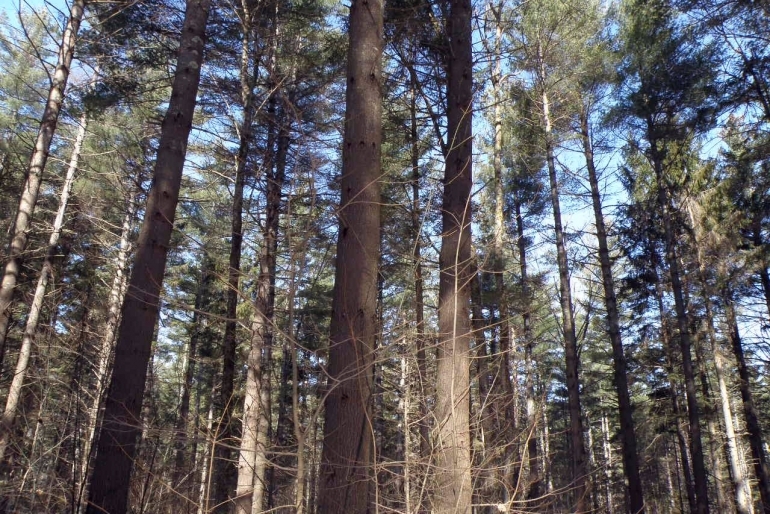 Situated in the north-central part of the state, the forest occupies much of the central portion of Moretown township, a rural, largely forested landscape. Adjacent to the capital city of Montpelier, Moretown is primarily a bedroom community for Montpelier, Barre, Waterbury and larger employers in the Burlington region. This region is known for nurturing productive stands of sugar maple and other commonly occurring northern hardwoods. The area also benefits from a diverse array of regional and local markets for forest products, including sawlogs, veneer, pulpwood and maple sap/syrup outlets. Downtown Montpelier, located 6 miles to the east, is the hub of the region and offers numerous shops and restaurants, a lively cultural scene, several colleges, state government and an array of employers. Outdoor recreation is a popular pastime with numerous hiking and biking trails throughout the region, and 4 alpine ski areas within an hour’s drive. Burlington, the state’s largest city, is a 50-minute drive to the northwest. Boston is 3 hours southeast of the property. 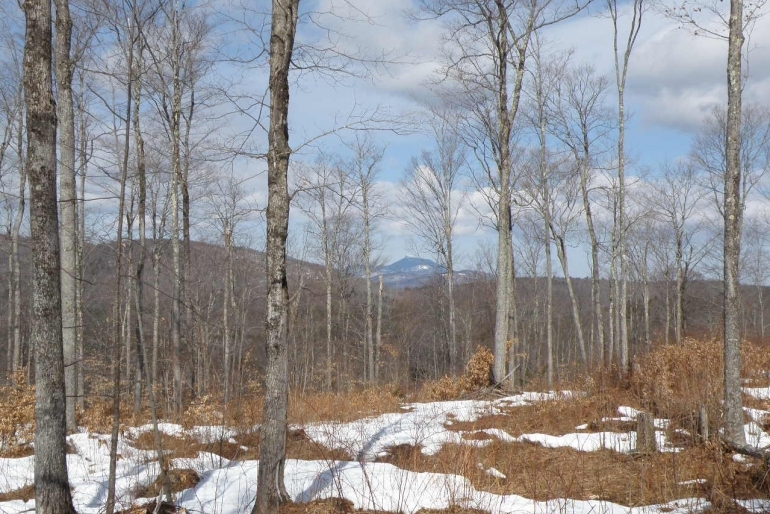 The property is accessed by Herring Brook Road, a gravel road that creates 2.7 miles of property frontage. The land’s frontage is on an unmaintained portion of the road, 0.4 miles from the town-maintained section of the road, where electric power is available. 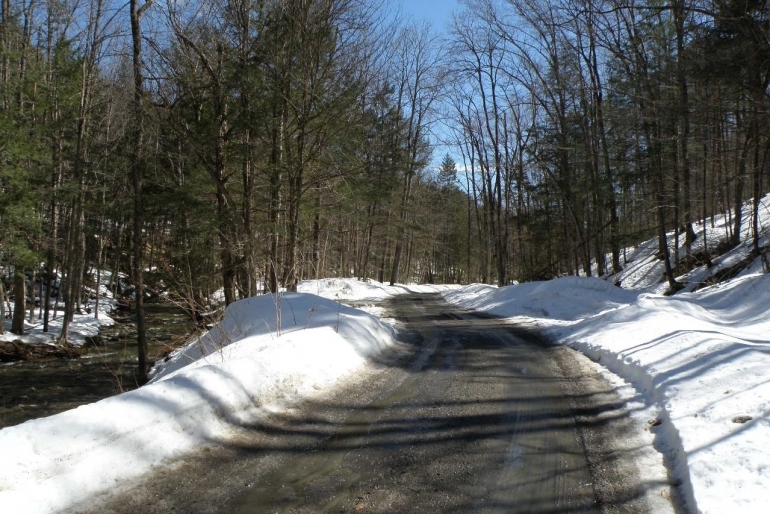 Herring Brook Road offers excellent access for future forest management operations, supporting all forms of log truck traffic. The northernmost property area offers a 0.7-mile seasonal internal road (culverts pulled) into the center of this operating unit. Boundary lines are in very good condition, with all lines maintained and visible with red paint. There is a survey of the property. The property is entirely forested with all aspects represented. The forest is named after Herring Brook, a mountain brook whose watershed originates from the land’s central and northern terrain. 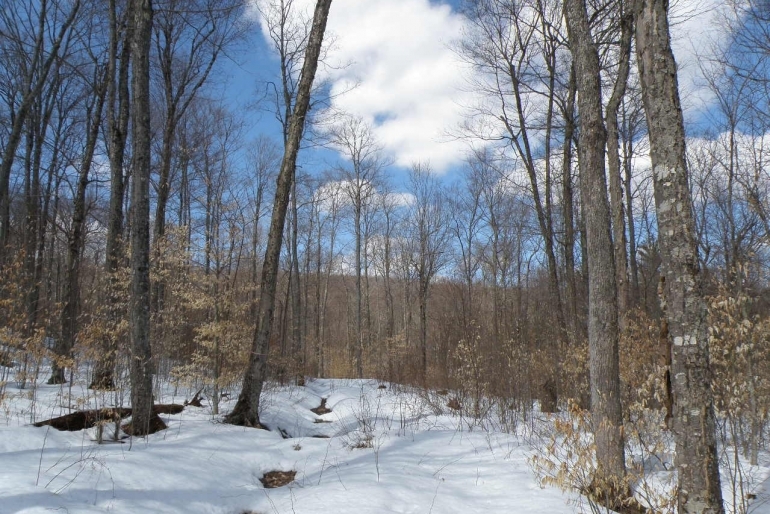 The property also covers terrain within four other local watersheds. Topography is quite variable, however the majority of slopes are gentle to moderate. Areas of steep slopes can be found on terrain leading to hill tops and along streams. Many of the areas adjacent to Herring Brook and Lynch Hill Roads are level, former cropland that was planted to softwood species in the 1950s. In and around these areas, old foundations and stone walls indicate historic settlement in the area dating back to the early 1800s. Much of the land’s northwest boundary runs along the Northfield Mountain Range, where elevation ranges from 1,600’ to 1,876’. 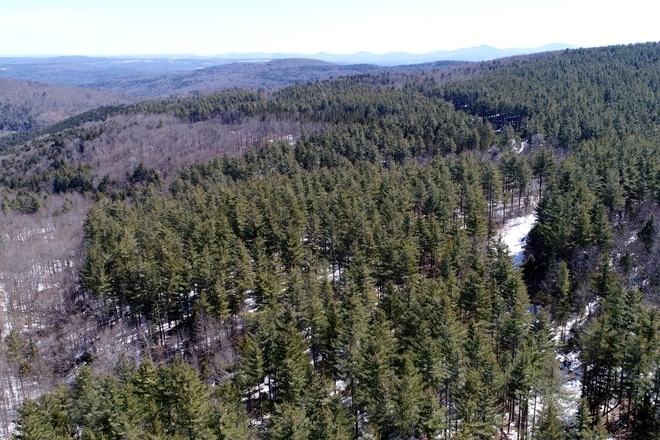 At the opposite end of the forest, Chase Mountain is another notable land feature where the property rises just south of its peak to an elevation of 2,000’. 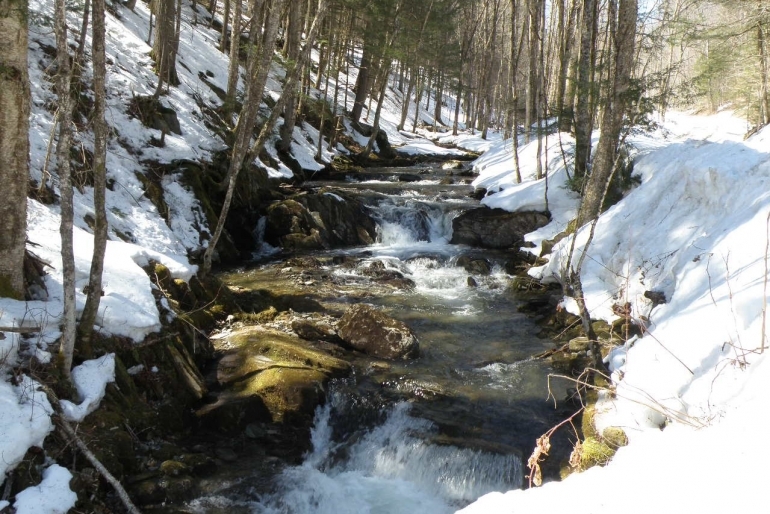 The lowest elevation is 1,000’ where Herring Brook flows off the forest. Generally, well-drained, upland soils predominate. 2016 timber data reveal a total sawlog volume of 12,344 MBF International ¼” scale (5.7 MBF/acre), with 27,809 pulpwood cords (12.8 cords/acre). Combined total commercial per acre volume is 24.2 cords, an average stocking figure for the region. 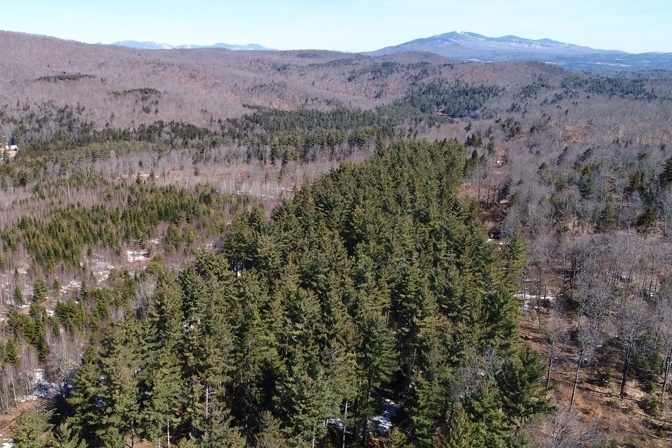 Growth was assigned by the ownership, with stumpage values set by the ownership’s forest manager in January 2019, producing a property-wide Capital Timber Value (CTV) of $2,567,500 ($1,152/total acre). The species composition is dominated by hardwoods (73%), with softwoods holding the balance (27%). Species composition for all products combined mirrors that of a managed northern hardwood forest type, with the exception of the planted pine stands. 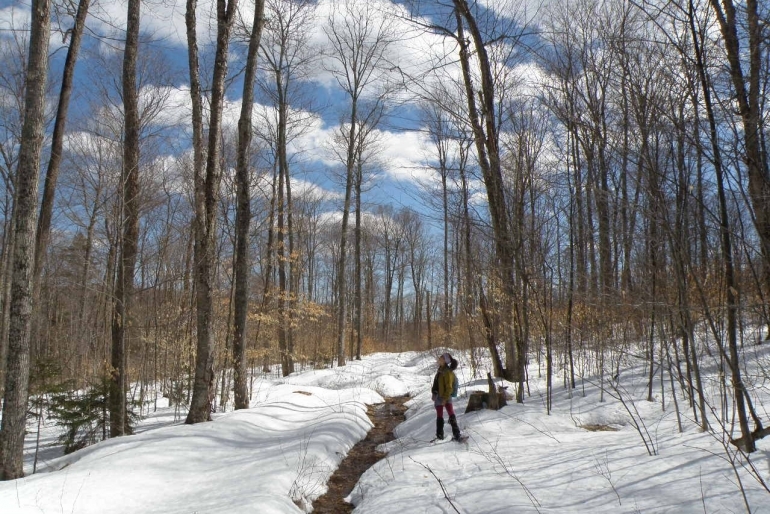 Overall volume is led by sugar maple (35%), with the major associated species consisting of red maple (13%), white pine (13%) and yellow birch (8%). Other common associates complete the profile. The sawlog volume breakdown is similar; however, pine and spruce hold a higher sawlog component. 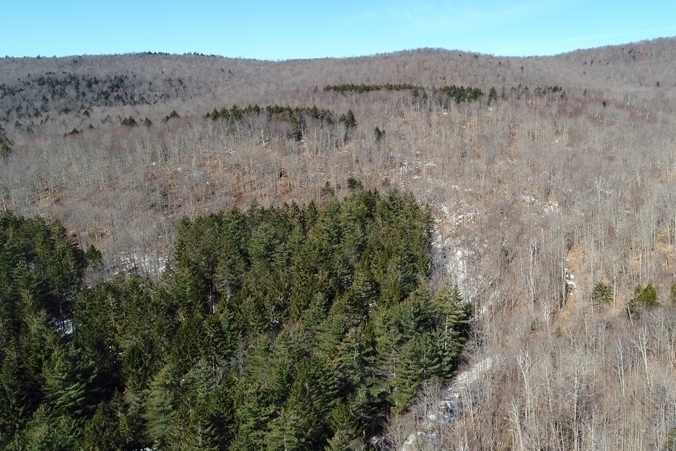 Past forest management has had a noticeable impact on reducing the American beech component, which was considerably higher when management began 30 years ago. Since the tenure of the current owner began in 2008, forest management activity in the form of thinnings, shelterwoods and group selection treatments has been completed on roughly 85% of the acreage. A relatively small portion of the acreage was treated by an overstory removal, limited to part of the mature softwood plantations. This forest management activity focused growth on the best stems, primarily favoring healthy trees of selected desirable species with large diameters. 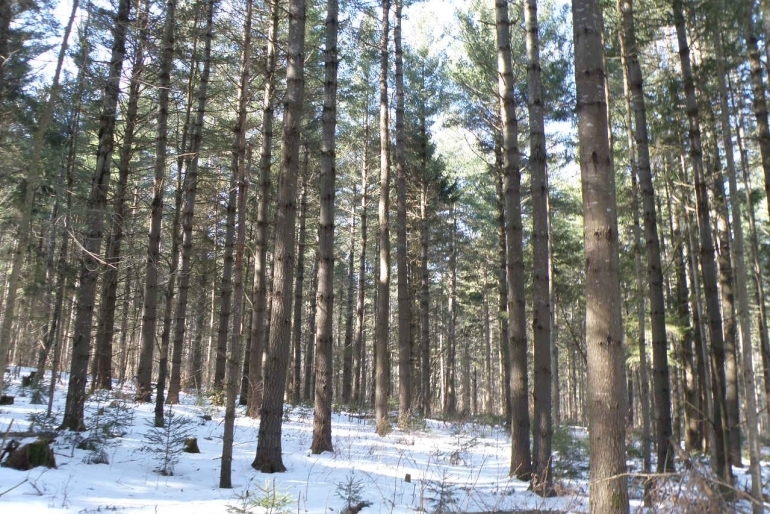 Pine plantations occupy roughly 160 acres with standing volumes well over 10,000 MBF/acre. 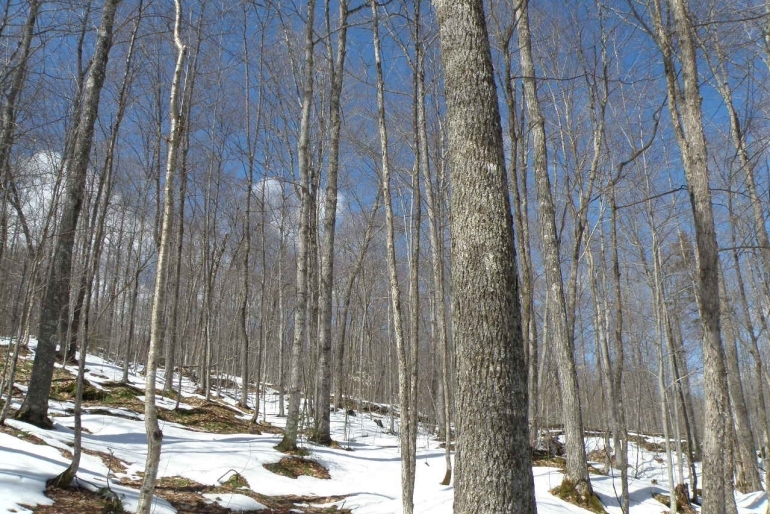 Fully-stocked, high-quality northern hardwoods stands, where sugar maple is the primary species, cover roughly 1,090 acres. The previously-treated hardwood stands are currently in a free-to-grow state with no thinning activity required over the next 10 years. The softwood plantations can be harvested at any time.